Auckland has been affectionately known by the locals as the ‘City of Sails’ for a long time. The phrase the City of Sails seems logical for those that know Auckland, because the harbour is often dotted with hundreds of yachts especially on those summer weekends. In fact Auckland has more yachts per capita than any other city in the world with around 135,000 yachts and launches estimated to call the Waitemata home. There are a lot of sailors too with around 60,500 of the country’s 149,900 registered yachtsmen also come from the Auckland Region. Who Named Auckland The City Of Sales? The “City of Sails” was launched by Tourism Auckland in 1985 as a tourism campaign focusing on marketing Auckland as a destination, according to this NZ Herald article by John Drinnan. So it is likely that it was named through a committee in Tourism Auckland. The person ultimately responsible would be the then Auckland mayor Catherine Tizard. Of course many Aucklander’s have a love affair with the beautiful harbour. There are also a large number of sailing clubs in Auckland and the Westhaven Marina which is very central is also the largest in the Southern Hemisphere. 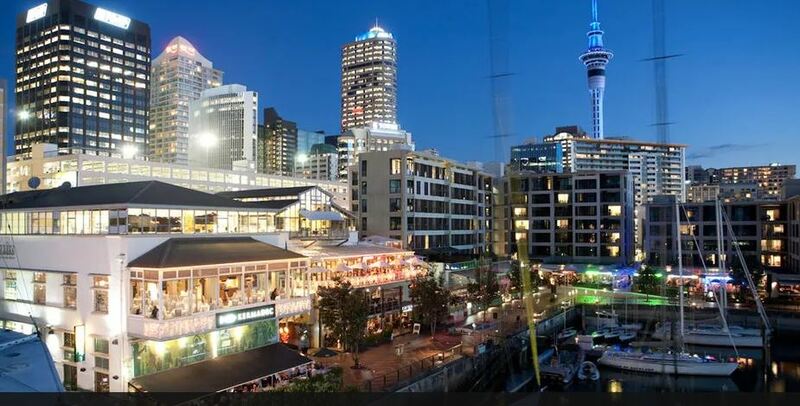 Viaduct Harbour hosts a variety of fabulous events including the past America’s Cup defences in 2000 and 2003, Louis Vuitton Regattas, the Volvo Round the World Race stopover March 2012, Auckland International Boat show and New Zealand Fashion Week. The harbour is the venue for the largest single day regatta in the world which takes place on Auckland City’s anniversary day, 29th January each year. More than 900 yachts and launches compete in many racing events, on this region’s public holiday. New Zealand’s Voyager Maritime Museum can be found within the Viaduct Harbour, also chartered yacht cruises that tour the harbour and with trips up to the famous Riverhead Tavern. For a more relaxing experience one can take a stroll around the harbour, grab a ice cream and enjoy the views or dine at some of the fantastic restaurants. It is no wonder that Auckland has coined the name the City of Sails! Thanks to Jason Li (Researcher) for his help.